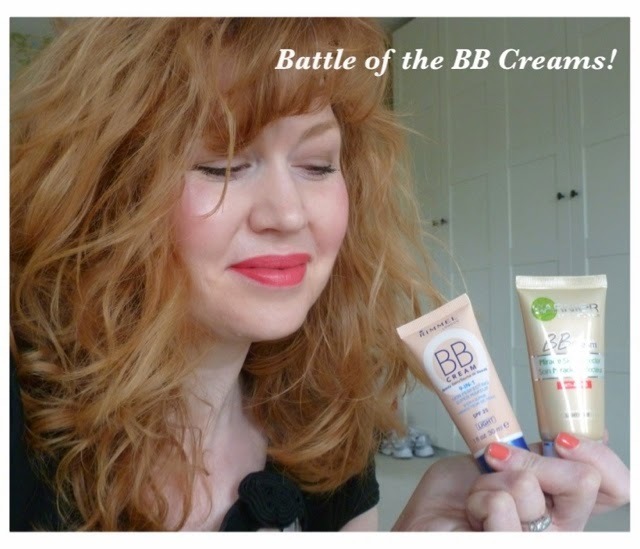 Hi beauty babes, I'm late to the party on this one but I finally tried a BB cream, or rather two BB creams. I've made a video review of what I think of them. I'm wishing I'd tidied up my trainers before I took this picture - lol! You can find all my other videos on the my YouTube page, there's a link at the top of the page. Here it is then, what a face! Hey there beauty bloggers, hope you've have a wonderful Easter and have been enjoying the warmer weather, today was gorgeous (forecast downhill from tomorrow though). We've been out and about with the kids the last couple of weeks, hence the reason this has taken literally days to write and post. They are back at school and pre-school tomorrow so hopefully I can get back on my blogging schedule once I've got a bit of peace and quiet! Anyway, the purpose of today's post is to review some bodywashes as I've been using some different ones this month from my stock, I seem to have loads but I also seem to get through them quite quickly (I don't use them sparingly so they don't last long). I love a bargain too, the Palmolive Mediterranean Moments was only £1.00 as it was on special offer but I'd definitely pay full price as its so gorgeous. Now, when I bought this I didn't realise it was a body scrub, I thought it was a bodywash, this is what comes with being harrassed by three little boys when you're out shopping, thanks kids! Anyway, as body scrubs go this is quite nice. It's got quite a potent aromatherapy sort of smell to it which is down to the Ylang Ylang and Patchouli (I'm not sure about the smell to be honest) and the scrub itself is good. I find that some body scrubs are a bit too harsh which is why I tend to steer away from them, but this isn't, it does gently scrub your skin but doesn't strip it. I probably won't use it every day but will definitely keep it in the bathroom for "scrub" days! This is yummy. I love anything vanilla, cocoa butter or coconut so this is perfect for me. I'm trying to remember where I bought this from, I think it was Sainsburys or Tescos, actually it was Tescos, they had quite a few to choose from but I went straight for the Vanilla. This has got a lovely smell and is very moisturising, the other good thing about it is that I have also used it in the bath, as a bubble bath, and it made the bathroom, and me, smell really gorgeous. I got this for Christmas but have only just started to use it. The label states "All of a Lather" and it really does, very creamy and luxurious and perfect after the gym, makes your skin feel lovely. It reminds me very much of the Soap & Glory range, not just the pretty artwork on the packaging but also the smell of the product. I really like Soap & Glory and this is just as nice. I know this range is available in Sainsburys and they've got quite a variety of products, I'm going to have a proper look next time I'm in there. This bodywash is a limited edition and as I said above, another of my supermarket beauty aisle buys! This is particularly lovely because its got my favourite Argan Oil in it. Palmolive is one of my favourite bath and shower brands, I've been in love with the Milk & Honey one for years and years (particularly love the bath cream) so I knew this wouldn't disappoint. I'm definitely going to buy this again for as long as its around. Hey there beauty bloggers, I've recently changed my skin care products from Nivea to Garnier, a brand I've not really used before. Here's a video post of what I bought and how I feel about them! Hope you've been having a good weekend in this beautiful sunshine. Hey there beautiful people, I'm really late with the March favourites aren't I? The boys are now off school and I've had visitors all week so I'm very behind with all my blogging and videos, but here's an attempt to rectify that situation! March seemed to come and go so quickly I don't know why. I did use lots of products and I bought lots as well but these are the ones that stood out for me and that I really feel are my favourites. In Third Place ... is my Maybelline Color Show Nail Varnish in Urban Coral. I've literally worn this for weeks. Its such a gorgeous colour and seems to go with everything and is very hard wearing with only one or two coats. The photo doesn't do the colour justice, it looks a bit orange, when it is, in fact, a very lovely coral colour. I was so pleased with it that I got two others in the Color Show Range which I've yet to use but they were on an offer which was 2 for £5.99, too good to miss. The only thing I would say is that I haven't used a base coat (because I'm lazy) and this varnish does have a tendency to stain your nails a bit, so its probably wise to use one, I'm going to next time. In Second Place ... is my new best friend, Nivea In-Shower Moisturiser. This is absolutely gorgeous stuff. I've said before that I'm lazy with body moisturiser which is why I was so thrilled with the Vaseline Spray on moisturisers but this is better again, because you put it on in the shower after your normal bodywash, rinse it off and then you're done, that's it. Its definitely made a difference to my arms and legs, actually my legs in particular because they've been hidden under jeans or leggings all winter (out of sight out of mind, though I do shave them regularly - lol) but they were pasty and a bit dry. Not any longer, still a bit pale but lovely and soft - hooray! I am going through this moisturiser like nobody's business as I'm using it every day, but at the moment I notice that in most supermarkets and also Boots they've got it on offer with some money off so worth stocking up as its definitely going to be one of my shower staples now. Finally, in First Place ... is the product that saved me this month, Garnier Roll-On for Eyes. I've noticed this product in the shops before but I've never got any until now, partly because of the whole "under eye area is very delicate" thing and I did wonder if I should be rolling caffeine onto it! However, I was very tired this month, getting over being poorly myself and various poorly children and not much sleep and I was looking really tired and no amount of Touche Eclat was helping! I don't care about getting lines but I don't like looking tired. So anyway, I spied this in the supermarket and thought I'd give it a go. I am glad I did. Its fab. Its got caffeine and antioxidant grape extract in it and, as the box states, is "Anti Bags and Anti Dark Circles". It worked for me, my eyes weren't dark but I did have some rather sizeable bags which needed to be sorted out. Its in a really handy pen type container with a roller ball end. The roller ball has a massage action which reportedly encourages drainage, it does seem to work so I suspect the mixture of the caffeine and the grape extract and the rolling does help the puffiness to reduce. I wasn't sure whether to put it on before or after my make up and I've tried both and it works the same regardless so I keep one in my handbag as well incase I need a little top up during the day. I should say that you only get 15ml which I guess really isn't very much and its about £10 which actually did sting a bit but it was worth it, I don't use it every day, only when I feel I need a bit of help. I also bought a Garnier under eye concealer at the same time but I haven't used that yet, that's for a future review. So there we are, my top three products for March. As well as being behind in my own blogging, I'm behind in reading everyone elses as well so I'm looking forward to catching up with all your March faves and other posts very soon. Argan Oil Product Review | Video! My love for anything Argan Oil has forced me to post a video on my YouTube channel because there was just far too much to write about it! I'm really excited about this lipstick, not least because I've been lamenting for ages about the fact that my best ever lipstick (Max Factor No 804) has been discontinued by Max Factor and I have been struggling to find a replacement for it. I did a lot of research and eventually went onto the Max Factor UK Facebook page and interestingly someone had posted a question about my fave lippy and asked what they recommended as a replacement for it. Max Factor replied that it might be worth trying the Max Factor Flipstick Colour Effect in Salsa Red. They are a relatively new product, by that I mean you can still get them in the shops, you don't have to go online to get them. They are a bit more expensive in the shops though, you can get them cheaper online. Flipsticks are essentially double ended lipstick, can't get simpler than that. I'm always dubious about these though because I nearly always find that I prefer one colour to the other and it seems such a waste to end up with a whole lipstick that hardly ever gets worn. However, these colours have been chosen to compliment each other, you can wear them together, or alone, the light over the dark colour or vice versa. I got two Flipsticks, the recommended one Salsa Red and another one called Gipsy Red. There is a difference, Salsa is more coral/red, Gipsy is more orange/red. Out of the two the one I prefer most is the Salsa Red, I put the dark colour on first then the light over the top as this is a better match for the colour that I was trying to replace but I have been wearing the Gipsy Red (perhaps a bit orange for me might be better as a summer colour) and I do really like it. The staying power is pretty good, they don't wipe off immediately and they also don't dry your lips out either which is great. The only downside is that because they are double ended they are a much thinner lipstick than normal and therefore I have to be careful not to wind it up too much as I'm afraid it will break, and also of course, I'm not sure it'll last quite as long but when they run out I'll definitely be replacing them so I guess that says it all! I think they're about £8.99 in the shops, I got mine for less than that on Amazon but was careful to choose a supplier that did free postage! There are other colours in the Flipstick Colour Effect range but I chose these two as I thought they would suit me most. I'm a big fan of Max Factor lipsticks and these have definitely not let me down! **Update January 2018 - these are no longer available in the shops, I have replaced these from Amazon and suppliers on eBay.